can be validâ€”especially the latterâ€”so nothing stated is implied to be negative, just factual. Whether guided or DIY, it's a good idea to know what you're getting yourself into and then consider objectively whether such a hunt is for you. Here are 5 great whitetail huntsâ€”I suggest you give them a hard look. Western Canadian whitetails are truly the giants of the breed. Big-bodied deer can produce big antlers, and these deer, with great genetics and good food and minerals, can and do. But the hunting is not easy. Because of harsh winter conditions, deer densities are low, especially when compared to what we're used to in so much of the Lower 48. In some really good Canadian trophy country, the deer average about one per square mile. Obviously, deer are concentrated by cover and foodâ€”which means there's a lot of country with virtually no deer. You go up there looking for not just any buck, but a big buck. Not everybody is going to get one. In three whitetail hunts in Alberta, I never pulled the trigger; in two hunts in Saskatchewan, I got two nice northern bucks. I am not suggesting Saskatchewan is better, although legal baiting concentrates the does. I've never hunted whitetails in British Columbia or Manitoba, and both are said to be good. Rather, consider my success as "two bucks in five hunts." That's 40 percent, and in my experience, that's a normal average for a full camp in a week of rifle season. I have seen one 80-percent camp, and I've been in camps where nobody got a deer. But that's why we go up there: The chance for one really good buck. The majority of hunting in Canada is stand-hunting. Daylight is short, which reduces the hunting time. You'll be dropped off in the dark and picked up in the dark. Temperatures will usually be below freezing but also can be well below zero. Kansas is my bailiwick, and it's where I do a lot of whitetail hunting. Despite the hype, we don't have B&C whitetails behind every tree. Certainly not at my placeâ€”and not anywhere else that I'm aware of. Our hunting is not like Canada in that the winters aren't so brutally cold. Since it isn't, we have a much higher deer density, but at the top end our deer are not as big. To my thinking, it is not quite the "long ball" game as Canadian hunting â€¦but it is also not a sure thing. Keaton Kelso, who run two camps in two different areas: one northeast of me, the other northwest. They manage bigger country and produce bigger bucks than we can, and a normal season hits 50 percent, but they're hunting big deer, and there is no 100 percent solution. It's stand-hunting. It isn't always freezing cold, but it can be. Whether their places or my place, the best way to increase the odds is to stay on stand all day. However, I freely admit that I can't do that myselfâ€”I lack the patienceâ€”and most of our hunters don't want to do that, either. I won't say that Kansas has the best hunting in the Midwest. However, what we have going for us is light pressure, a one-buck limit, and a two-week rifle season as well as a generous bow season. Even so, this is not the Garden of Eden. Like all whitetail hunting, ours is weather dependent, and while bow season catches the entire rut, our rifle season is generally post-rut. Opportunity in Iowa is almost as good, hampered by shotgun and muzzleloader restrictions, but probably better than Kansas for antler potential. Nebraska and Missouri are underrated. In my opinion Illinois, though it certainly has big bucks, is extremely overrated, with much of the hunting areas I've seen small and overcrowded. In recent years diseases such as EHD have hit the deer herds in much of the region, including parts of Kansas, so deer densities aren't what they were a few years ago. So far my area hasn't been impacted, but it's something we worry about. Depending on where you live, the grass might be greener in the Midwest, but don't think it's a simple matter of a big buck being assigned to every tag. As admitted, I'm not in Kansas's easiest country to hunt or in our best trophy country. That said, we have big bucks, but we tell our hunters that if they see a buck they like, please shoot him rather than trying to "score him" or, worse, stockpiling him for later in the hunt. A better buck might come along, but a nice buck seen once is unlikely to be seen again. So make your decision! The Lone Star State is another of my favorite places to hunt. With America's largest herd, deer hunting there is at least an industry and almost a religion. However, the hunting is different. Some 98 percent of Texas is private land, so it's the state of deer leases and outfitters. There is very little "free hunting," and Texas landowners are proud of their deer. Texas deer hunting is expensive, but that's not altogether a bad thing, because to a great extent, at least on a well-managed ranch or with a decent outfitter, you get what you pay for. There are reasonably priced hunts in overpopulated areas, and you take 'em as they come. There are management hunts where size and/or age restrictions are applied, and there are trophy hunts, the latter fairly pricey for really big bucks. As with whitetail hunting everywhere, there are no guarantees, but with lots of deer and extremely intensive management, whitetail hunting in Texas is probably more successful than anyplace else I know. Because Texas whitetails are small-bodied, few areas are capable of producing bucks into the 160s and beyond, but it's a great place to hunt genuinely mature whitetailsâ€”and on those small bodies and narrow ears, a 140-class buck looks spectacular. So what's the downside? Well, from my standpoint, not much. I've hunted plenty of places where "Booners" are possible, but I've never gotten one yet and probably never will. But in Texas you're going to hunt like the Texans, and Texas rules are somewhat different from what many of us are used to. Texas is the land of box blinds and deer feeders. I can deal with that; we use blinds and feeders in Kansas. Use of deer feeders is generally a matter of management goals; they are most prevalent in areas where the deer are chronically overpopulated and hunting pressure is unable to solve the problem. This describes much of Texas, but they go a step or two further. On private land shooting from a vehicle is legal, and I've noticed that it's very hard to pry some Texas guides out of their pickup trucks. The next step, of course, is "corning" roads. It's not a great wilderness experience, but it's perfectly legal, so you may or may not care, but over the years I've received a lot of "anti-bait" letters. Also, a lot of properties in Texas are high-fenced. This is not universal; the places I hunt are not. But unlike much of the country, in Texas high-fencing doesn't imply captive breeding or released animals; it's more a matter of protecting a valuable resource: whitetails. Of course, we could get into the ethical question of whether 10,000 acres under high fence is really fenced or free rangeâ€”chances are the resident whitetails don't know the differenceâ€”but that's not the point. Texas whitetail hunting is different, and there are purists reading this who may not like it. "West" is a relative term, depending on where you live. 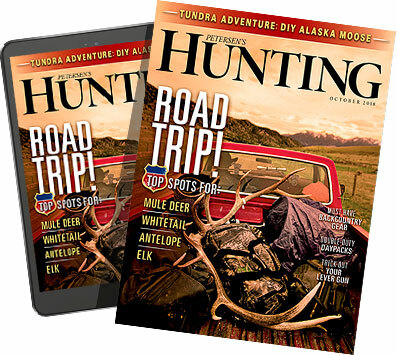 There's great whitetail hunting from the Great Plains on up through Wyoming, Montana, and Idaho clear into eastern Washington. But whitetail hunting in the West of the Rocky Mountains is a whole lot different from whitetail hunting east of the Rockies. Western Montana, for instance, produces spectacular whitetails, but whitetail hunting in the big timber of that region is the most difficult I've ever done. Period. Bar none! Here are the challenges. First, the country is huge, and deer densities are fairly low. Also, much of it is tough country, so you can expect to work pretty hard locating deer. All of this applies to mule deer as well. In some areas whitetails outnumber mulies; in other areas the reverse applies. But here's the biggest challenge: In much of the region whitetails are creatures of the valleys, while mule deer prefer higher ground. The valleys are easier to hunt, which is good. Not so good: Much of the best whitetail habitat is private property, while some of the best mule deer habitat is on public landâ€¦up in the rimrocked ridges. Montana has 30 million acres of public land, but not a lot of it is ideal whitetail country. So even in such a cornucopia of hunting opportunity, access specifically for whitetails can be a major issue. beyond can be problematic. It's exactly the same situation as with Canadian whitetails except that, up there, guide laws apply and part of the deal is a good place to hunt. There are plenty of great outfitters in our Rocky Mountain West who offer whitetail hunting and have access to prime habitat, but DIY for whitetails on public land isn't easy. It can be done, but you need to do your homework to figure out the checkerboard of public versus private land and the access corridors. Expect to hunt hard and see relatively few deer, but just maybe you'll run into one of those northwestern monsters. This is one of my favorite hunts. It's a glorious experience in the mountains of the Southwest in winter, and the diminutive Coues whitetail is a gorgeous little deer. My preference is always walking and glassing, spotting and stalking. I know the Coues deer is a wimpy little deerâ€¦but he means something to me. Hunting the Coues whitetail is not an easy hunt, and it's a different experience from most other whitetail hunting. Actually, it's a lot like sheep hunting, except that in some ways it's more difficult. These little deer are thinly dispersed in big country, and they're actually considerably harder to "glass up" than most sheep. There are circumstances where they can be hunted from stands. Sitting over waterholes early in the fall, bowhunters do it all the time. But there are fewer Coues deer entries in Boone and Crockett than for most North American species. Glassing is the primary technique, and it's not easy. Coues deer hunting, properly done, is the most optics-intensive hunting I've ever done. It isn't for everybody. Coues deer hunting is actually fairly successful, at least for rifle hunters, because pressure is light and, once spotted, these deer are more stalkable than many whitetails. But if you're used to whitetails elsewhere, even a great buck can be really disappointing unless you've done your homework. A buck that breaks 100 inches is fantasticâ€¦110 inches of typical antlers makes the all-time B&C book, and that's not even a decent buck anywhere else in the United States. I've been with many hunters over the years, and the bucks didn't impress them. Fine, but you can't turn a Coues deer into a northern, southern, eastern, or Midwestern whitetail, which is why we consider them separately.